Singapore’s first liquefied natural gas (LNG) bunker barge scheduled to begin construction in January 2019. 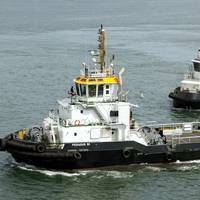 The 7,500 cubic meter capacity barge will be owned and operated by a joint venture between Shell and Keppel Offshore & Marine, FueLNG Pte Ltd, who selected ABS to class the vessel.To help spur the project, Singapore’s Maritime and Port Authority (MPA) recently granted up to $3 million to FueLNG Pte Ltd to build the barge. The vessel will be based in the Port of Singapore and will supply LNG fuel to large oceangoing vessels throughout the region.“This project is an important milestone for the region and is a key component of Singapore’s strategy to become the world’s largest bunkering port,” said ABS Vice President Global Gas Solutions, Patrick Janssens. Contaminated marine fuel that clogs and damages ship engines has been found in Singapore, the world's largest ship refuelling hub, according to sources and an alert sent to clients by a marine fuel surveying company.Singapore-based marine fuel surveyor and consulting firm Maritec Pte Ltd warned clients this week that six samples of ship fuel sold in Singapore had "resulted in severe sludging at centrifuges, clogged pipelines, overwhelmed fuel filters".The Singapore findings follow reports of more than 100 vessels that loaded similarly contaminated fuel in the U.S.
Singapore-based Keppel Corp said on Wednesday its offshore rig-building unit is on track to deliver in May what the shipbuilder said will be the first tugboat in southeast Asia that can run on liquefied natural gas (LNG). The vessel will be one of seven dual-fuel vessels the company is building, and will be able to run on LNG and diesel, a spokesman for Keppel said, without disclosing how much the ship cost to build. 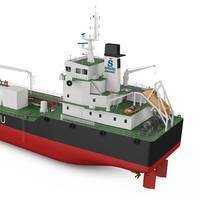 A second dual-fuel LNG tug is due to be delivered by June or July, he said. Singapore-based Sinanju Tankers Holdings has ordered what it says will be Singapore's first dual-fuel bunker tanker, to be powered mainly by liquefied natural gas (LNG). 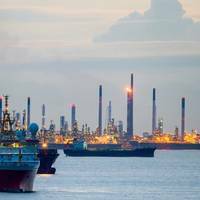 A Singapore marine fuel supplier and three executives have been charged with cheating as part of a government crackdown on short deliveries of fuel to vessels in the world's largest bunkering hub. Vermont UM Bunkering Pte Ltd, two directors and a former bunker manager were charged with 150 counts of conspiracy to charge customers for more marine fuels - also known as bunkers - than actually delivered, the Corrupt Practices Investigation Bureau (CPIB) said in a statement. "Through these alleged fraudulent transactions, Vermont Bunkering had dishonestly induced its customers to make excess payments totalling over $8 million," the statement said. Vopak, the world's largest independent storage tank operator, has launched a new service that allows tankers docking at its Singapore Sebarok oil terminal to refuel while simultaneously loading or discharging cargoes. "The new concurrent bunkering service is in line with Maritime and Port Authority of Singapore's directive to improve port efficiency," Vopak said in a statement on Tuesday. 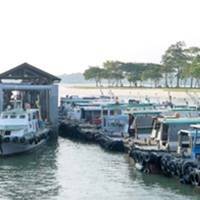 The service eliminates the time needed to move tankers calling at the Sebarok terminal to designated anchorages in Singapore's congested waters for refuelling, also known as bunkering. Prior to this, tanker vessels were required to sail to the anchorage to receive their bunkers, the Dutch oil and chemicals storage company said. Ten U.S. sailors were missing after a collision between a destroyer and a tanker east of Singapore on Monday, the second involving a U.S. warship and a merchant ship in Asia in about two months, triggering a fleet-wide probe of operations and training. The guided-missile destroyer John S. McCain and the tanker Alnic MC collided while the warship was heading to Singapore for a routine port call. 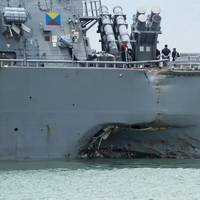 The collision tore a hole in the warship's waterline, flooding compartments that included a crew sleeping area, the U.S. Navy said in a statement. "Initial reports indicate John S.
Singapore's Maritime and Port Authority (MPA) have revoked two bunker suppliers' license to operate in the world's top bunker port. The two companies have, according to the authority, violated the terms and conditions for bunker activities in the port. Singapore-based Seaquest Tanker and Vermont UM Bunkering have had their licences nullified and will not be allowed to operate as bunker suppliers and bunker craft operators in the port of Singapore, with effect from April 26 and 27, the MPA said. Almost 100 people were rescued when a ferry sailing toward Singapore from the Indonesian island of Batam hit a floating object and reportedly started to sink, maritime officials said. Singapore's Maritime and Port Authority (MPA) said it received a report last night that Indonesia-registered ferry 'Sea Prince' had hit a floating object after leaving Batam, one of the popular resort islands about 40 minute ride from Singapore. It said at the time of the incident, the ferry was in Indonesian waters and heading towards Singapore with 90 passengers and seven crew members. Almost 100 people were rescued when a ferry sailing towards Singapore from the Indonesian island of Batam hit a floating object and reportedly started to sink, authorities in the city-state said. Ferry operator Batamfast called out two other ferries that rescued all 90 passengers and seven crew and took them back to the Nongsapura ferry terminal in Batam, Singapore's Maritime and Port Authority said in an emailed statement. The authority said early on Monday it had received a report of the incident on the 'Sea Prince' at 9:45 p.m. on Sunday (1345 GMT). A passenger, Chella Ho, said the ferry started sinking slowly in deep water and passengers were loaded into two inflatable boats but those boats also sank because they were overloaded, TV news network Channel News Asia reported. Singapore opened the newest addition to its container port on Tuesday, aiming to handle more of the increasing number of mega-ships plying the oceans. A few of the planned 15 berths in Phases 3 and 4 of the Pasir Panjang Terminal are operational. The rest of the S$3.5 billion ($2.6 billion) project is scheduled to be completed by the end of 2017, pushing Singapore's annual container handling capacity to 50 million Twenty-foot Equivalent Units (TEUs), said Singapore's main container terminal operator PSA. Singapore Maritime and Port Authority (MPA) has condemned Iranian forces for firing warning shots in the Gulf at a Singapore-flagged Alpine Eternity which it said was in international waters, calling it a “serious violation of international law”. Five Iranian boats had fired shots across the bow of Alpine Eternity in the international waters off the Gulf, and MPA said it is "deeply concerned with such actions". The Alpine Eternity was attacked by a number of small craft in international waters off the UAE in the latest escalation in the region. Traders and shipping companies scrambled to source fuel and take over supply contracts on Friday after Danish marine fuel supplier OW Bunker said a suspected fraud at its Singapore subsidiary had pushed it to the brink of bankruptcy. The alleged fraud at Singapore-based subsidiary Dynamic Oil Trading is potentially one of the biggest financial market scandals to hit the city state since 2004, when China Aviation Oil (Singapore) ran up oil futures losses of $550 million. Some institutional and individual investors in Denmark said they were considering taking legal action against the firm. The Singapore Maritime and Port Authority (MPA) issued a news release stating that, working with Lloyd’s Register, it is completing a study on the Technical Standards and Procedures for LNG Bunkering in the Port of Singapore. 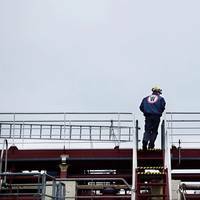 Competency standards for personnel handling LNG bunkering. After the study is finalized, it will be shared with the maritime industry and feedback will be sought. 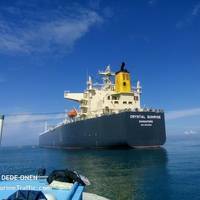 Pirates fled from 51,000 DWT tankship 'Abu Dhabi Star' after crew took refuge in 'citadel' while Nigerian Navy intervened. The Singapore-flagged product tanker 'Abu Dhabi Star' is operated by Pioneer Ship Management Services, and the attack occurred whilst the tanker was drifting approximately 14 miles off the port of Lagos. Reportedly the crew took refuge in the ship's citadel, requesting assistance. Later, Singapore's Maritime and Port Authority (MPA) said: "The company has informed MPA that the vessel and crew are now safe. There has been a significant increase in the number of pirate attacks in parts of West Africa. In some of the recent cases, the armed gangs tend to steal the cargo instead of seeking a hefty ransom before releasing the crew. 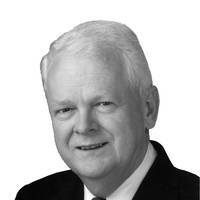 On 1 August 2012, enforcement of the North American Emissions Control Area (ECA) is due to commence. This third and largest ECA (the other two encompass the North Sea and the Baltic Sea areas) was first proposed by Canada and the United States on 27 March 2009. France quickly joined in on behalf of Saint Pierre and Miquelon, its territory off the Atlantic coast of Canada. The proposal was approved by the IMO on 26 March 2010 by means of an amendment to Annex VI (Regulations for Prevention of Air Pollution from Ships) to the MARPOL Convention.